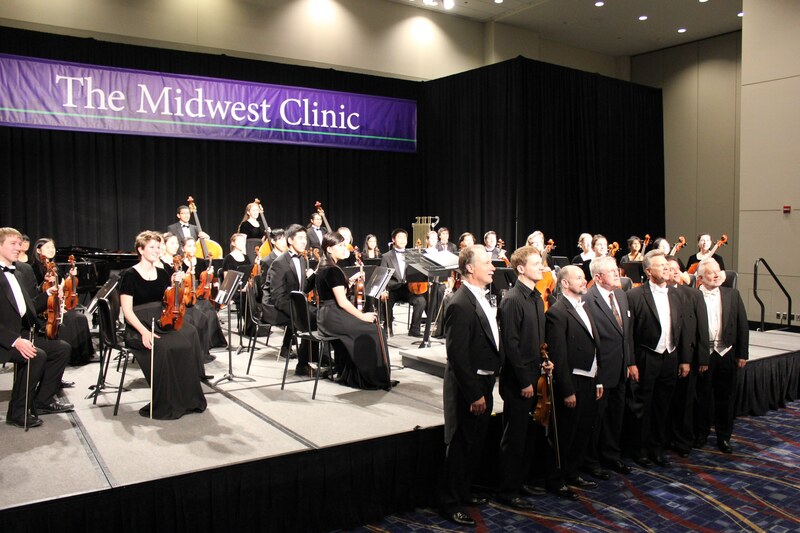 My husband was a guest conductor (second from the right) for Brandeis HS Orchestra in San Antonio, TX who was featured as an honor orchestra at the Midwest Conference in Chicago, Illinois. The orchestra had to submitted tapes and be chosen for this prestigious honor. James is the Director of Fine Arts for NISD, one of the largest school districts in Texas. What a proud day!